I don’t know anyone around my age (37) who didn’t grow up with the TV-adaptation. Which was pretty good, even though the second part was a little bit of a letdown. Nevertheless, 27 years later, it definitely stands as a true horror classic (even though it’s far from being a masterpiece). And I have a feeling that 27 years from now (see what they did there? 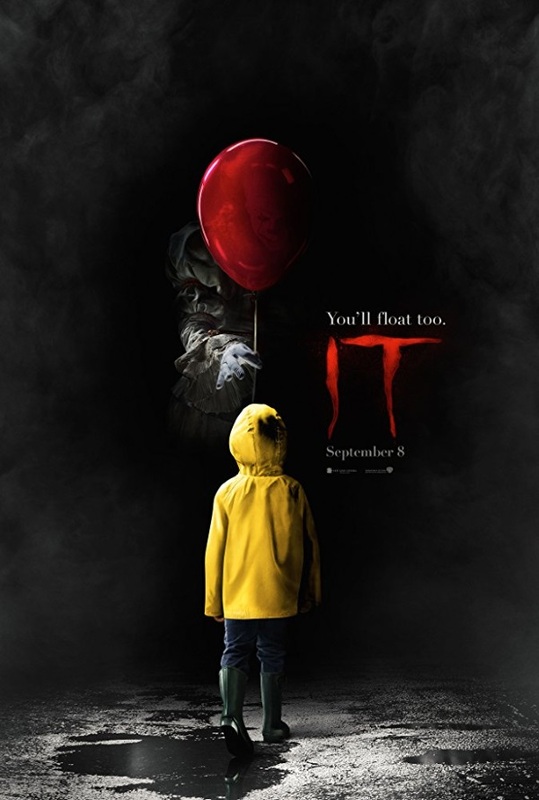 ), we will say the same about Andy Muschietti’s take on what is arguably Stephen King’s best novel. First off: Get that stupid hyperbole of “one of the scariest movies ever” out of your head. Yes, “It” has a couple of scary scenes, but it’s nowhere near the scare-fest that some made it out to be. And that’s ok, since it’s biggest strengths lie elsewhere anyway. What Muschietti and the writers got right, is how they put the characters and the friendship that exists or builds around the “Loser’s Club” front and center. With its coming of age-aspect (which in my case further profits from the fact that I grew up in the 80s myself, which made it even easier to relate to them, and also gave this – like “Stranger Things” – a sense of nostalgia), it gives off a strong “Stand by me” and/or “Goonies”-vibe (just with an added horror-clown). The characters are all very distinctive from each other, and quite well fleshed out – definitely more so than in your standard horror fare. Praise must also go out to casting director Rich Delia and his team for finding this bunch of kids. All of them were absolutely great and extremely natural and believable in their respective roles, and even though the focus lies on Billy and Beth, it would be wrong to single any one of them out. There were all awesome, and prove to be incredible talents worth looking out for. It’s already difficult enough to find one or two good (new) child actors for a film. To get seven of them feels almost like a miracle. Interestingly enough, if there’s one weak link, it’s actually Bill Skarsgård, who is the one (and only) aspect where 2017’s “It” falls behind the 90s TV adaptation. He’s ok, but ultimately, Tim Curry’s huge clown shoes prove too big to fill. Then again, since the focus lies so heavily on the kids, that’s not that big of a deal. * I know it’s never going to happen, but wouldn’t it be kinda cool if they waited 27 years and would then use the same cast? This entry was posted in /slash, cinema 2017, movie reviews, new releases and tagged /slash, /slash 2017, 2017, Andy Muschietti, Bill Skarsgård, Chosen Jacobs, Finn Wolfhard, horror, It, Jack Dylan Grazer, Jaeden Lieberher, Jeremy Ray Taylor, Sophia Lillis, stephen king, USA, Wyatt Oleff. Bookmark the permalink.